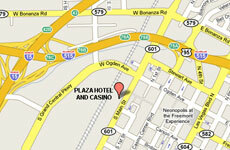 The hottest Las Vegas gaming action is located at the Plaza Hotel and Casino! Boasting more than 700 of the latest slot and video poker machines, a variety of table games, a live Poker Room, Lucky's Race and Sports Book, and Downtown Las Vegas' only Bingo hall, the Plaza Hotel and Casino has something for everyone. The Plaza Hotel and Casino has over 800 of the newest and hottest slot machines to satisfy the most avid gamer including the latest video reel games, poker and keno machines, and over 100 progressive slot machines. Enjoy our variety of games and earn cash back and comps on some of the loosest slots in Downtown Las Vegas! Try your luck in the Plaza's poker room! Six poker tables complete our room, which is conveniently located near the Aqua Lounge on the casino floor. 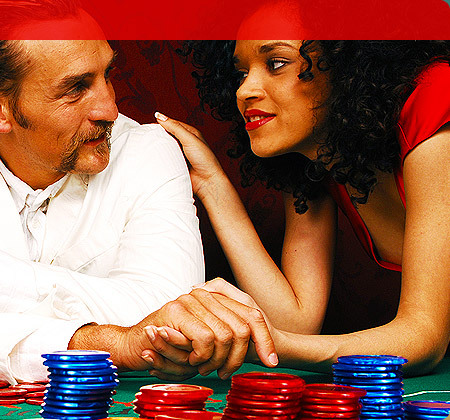 Play and compete in our daily $40 Sit-N-Go Texas Hold 'Em Tournaments with both tourists and Las Vegas locals alike. Be a part of the action! Nestled in the heart of the Plaza Hotel and Casino, Lucky's Race and Sports Book offers the best race and sports betting experience in Downtown Las Vegas. Lucky's Race and Sports Book features Nevada's largest and most innovative wagering menu. Bet on all your favorite sports: baseball, basketball, boxing, football, golf, soccer, UFC and much more! 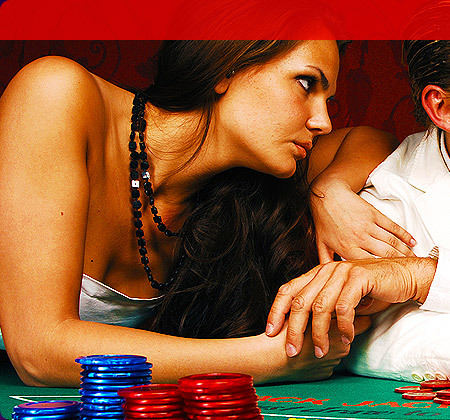 We offer many exciting proposition and future wagers that can't be found anywhere else in Las Vegas. Lucky's Race and Sports Book is also the perfect place to play the races from tracks across the country. We offer daily pari-mutuel wagering on a full menu of tracks, plus future odds on major racing events. BINGO! 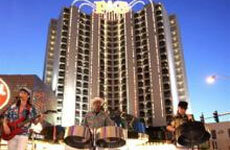 The only bingo room in all of Downtown Las Vegas is located on the 3rd floor at the Plaza Hotel and Casino! 6 daily sessions at 11am, 1pm, 3pm, 5pm, 7pm, and 9pm with a $10,000 Super Coverall (52 numbers or less) at each session!